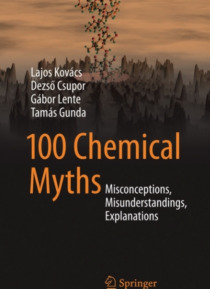 100 Chemical Myths deals with popular yet largely untrue misconceptions and misunderstandings related to chemistry. It contains lucid and concise explanations cut through fallacies and urban legends that are universally relevant to a global audience. A wide range of chemical myths are explored in these areas; food, medicines, catastrophes, chemicals, and environmental problems. Connections to popu… lar culture, literature, movies, and cultural history hold the reader's interest whilst key concepts are beautifully annotated with illustrations to facilitate the understanding of unfamiliar material. Chemical Myths Demystified is pitched to individuals without a formal chemistry background to fledgling undergraduate chemists to seasoned researchers and beyond.